Canadian Angling is proud to announce that we have partnered with Rick Taylor’s Astro Tables 2019 and in an exclusive agreement we are now able to provide our loyal readers the current month’s lunar tables. Its the best times to fish. These are the lunar tables available in many newspapers showing moon rise and moon set, but with the times when the moon is overhead and underfoot. 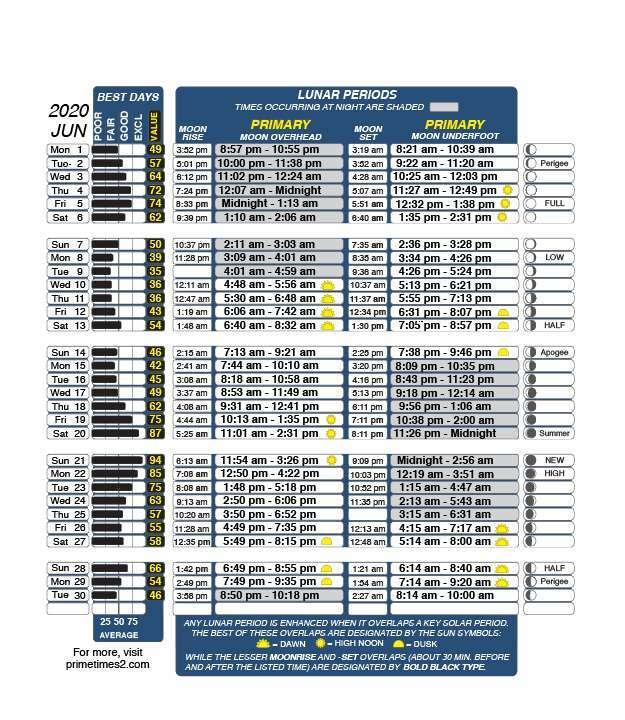 Although Lunar Tables 2016 is used each month by millions of anglers and hunters around the world, it’s actually just the quick-reference, shortened version of “little sister” of Rick’s ultimate fishing & hunting forecaster. 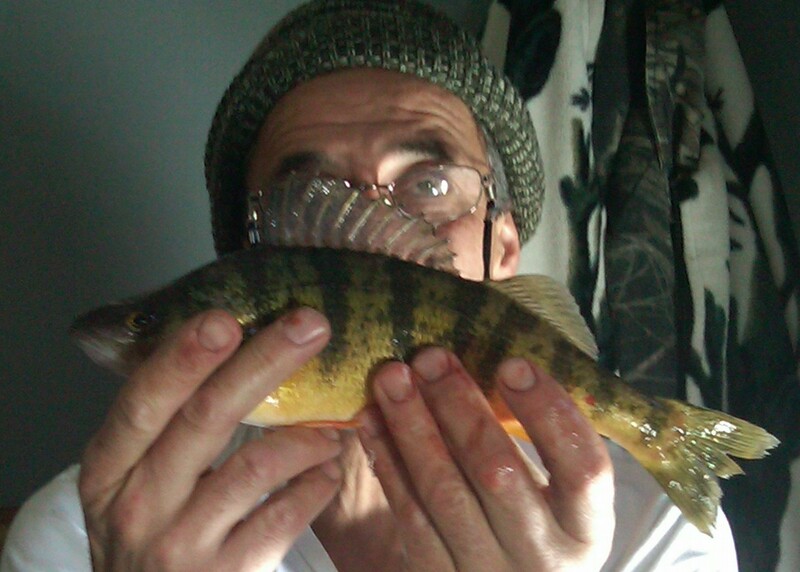 This info is great for fly-fishing, ice fishing, spinner and bait fishing. 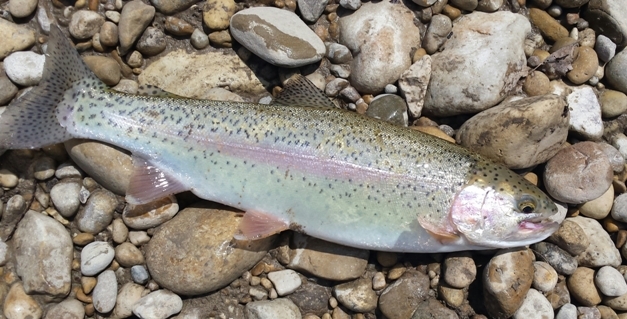 Don’t waste you time and go when the fish aren’t active. 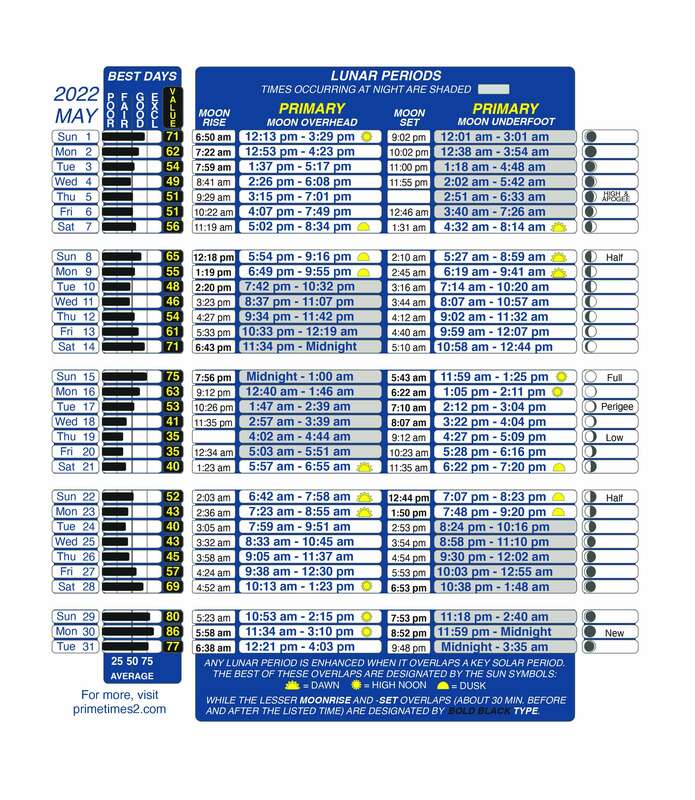 Rick Taylor’s PrimeTimes Wall Calendar with solar/lunar tables. 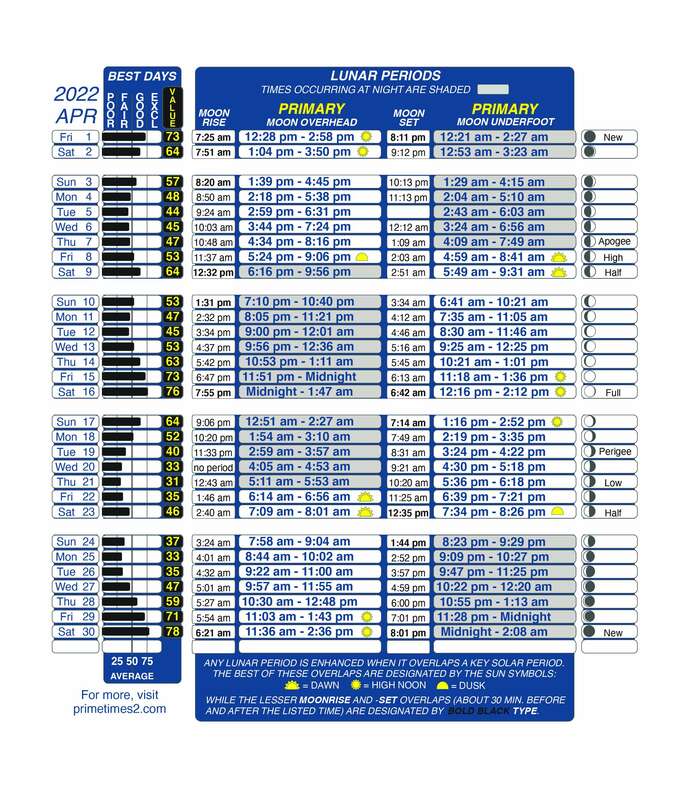 If you’re really serious about your sport and ready to move up to the best when-to-go forecaster on the market, check out the PrimeTimes Wall Calendar and the links below. Do you know why Astro Tables are better than lunar tables, check out the article by Rick Taylor. Below is the best fishing and hunting times. If it doesn’t show you this month’s tables, just re-fresh your page. Thanks to Rick Taylor’s Primetimes for supplying us with this great fishing/hunting tool. The best days to fish will be when the moon overhead and moon underneath correspond with sunrise and sunset. We hope you’ll catch a lot more fish. Let us know how you do.